Product categories of Four Axis CNC Machining, we are specialized manufacturers from China, Four Axis CNC Machining, CNC Machining suppliers/factory, wholesale high-quality products of CNC Parts R & D and manufacturing, we have the perfect after-sales service and technical support. Look forward to your cooperation! 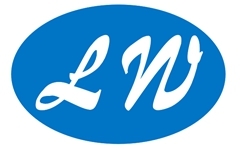 Longwang Hardware Co.,Ltd is a professional design, development, production and sales of precision machinery parts manufacturing company. The company's existing equipment: precision CNC car (Japan Takizawa), precision double-spindle CNC milling and laminating machine; CNC machining center (three-axis, four-axis), walking in the wire and wire, precision milling machines, precision grinding machines. Equipped with advanced testing equipment: three-dimensional, imported Sampoong altimeter, projector, Sanfeng micrometer, digital calipers and so on. Processing business scope: precision equipment, fast-moving consumer goods parts processing, hardware structure parts, fixtures, test and inspection equipment and other mechanical parts manufacturing and processing, professional OEM services. The industries involved include: micro investment, professional aerial equipment, video equipment, outdoor lighting, medical equipment, automation equipment, and creative product hardware accessories. Four-axis machining advantages: 1. The tool is greatly improved 2. The processing process shortens the mounting time 3. No fixture required 4. Improve the surface quality 5. Extend the tool life 6. Concentrate the production 7. Effectively improve the processing efficiency and production efficiency.